I wanted to make a super fast, easy and yummy dessert. 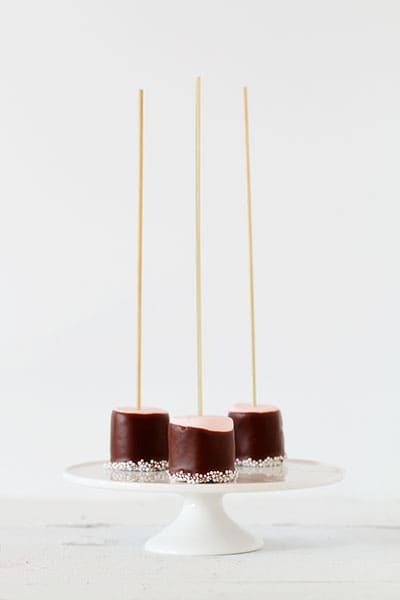 For some reason I thought, chocolate & caramel dipped marshmallows! So I googled that, found a recipe and got started. Well. 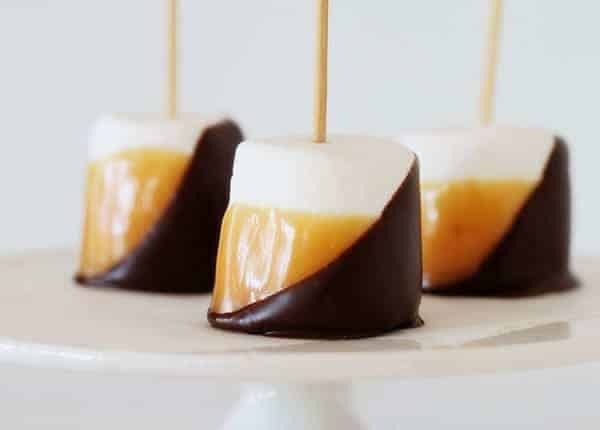 After an hour of dealing with caramel and dipping marshmallows and it pooling weird and the not setting enough to dip in chocolate and then giving up because ITWASUGLY, I decided to try these little guys. Now these, these are easy. If you do not have strawberry marshmallows, don’t fret. Make some from scratch! Is there anything better than from scratch marshmallows? 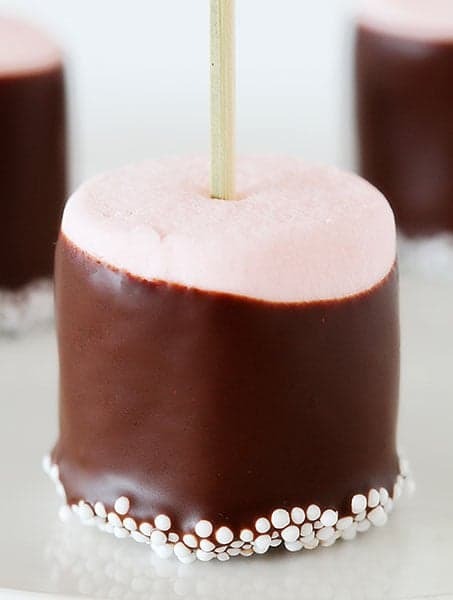 If you don’t want to do that, use regular old white vanilla marshmallows, dip them in chocolate, then add some pink sprinkles. Voila! Neapolitan. Or at least, my version of neapolitan. I basically refer to anything that is pink, brown and white as neapolitan. I wanted to make a super fast, easy and yummy dessert. For some reason I thought, chocolate & caramel dipped marshmallows! Combine chocolate and oil in a medium heat-proof bowl set over a saucepan of barely simmering water. Stir until melted and smooth. Transfer to small container with high sides (like a drinking glass, just make sure its wide enough to fit cupcake), and let cool about 15 minutes. OR Place chocolate and oil in a tall glass in the microwave for 1 minute. Remove and stir. If chocolates not all melted, return to the microwave in 15 second increments until chocolate is all melted. 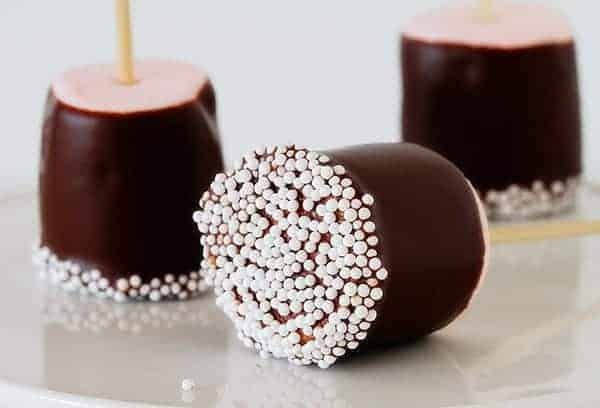 I am giving a recipe for the chocolate shell, but you can even do something as simple as melting some chocolate chips in the microwave (15 second increments) and dipping the marshmallow in that. Insert marshmallow into a toothpick or skewer. 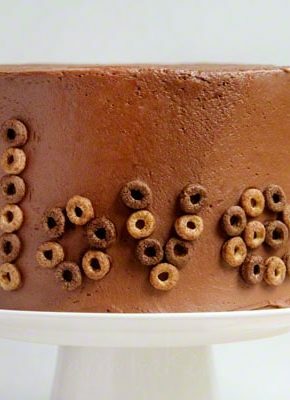 Dip into chocolate. Let excess drizzle off. 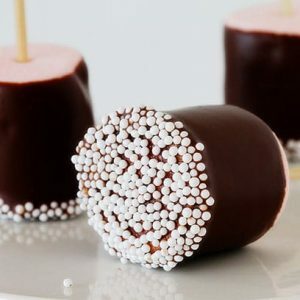 Dip freshly chocolate coated marshmallow into sprinkle of choice. Best served within 24 hours. The hardest part about this whole process should be finding a pretty sprinkle to embellish these beauties. 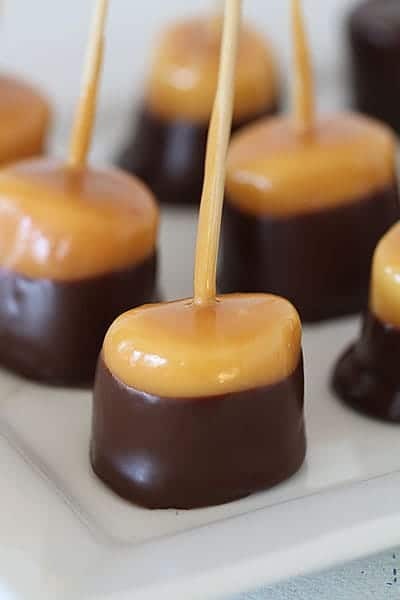 Now, since I love you all and we have no secrets here I will show you my colossal failure of marshmallows dipped in caramel and chocolate. Ok, ok. So they were not a colossal failure. I just didn’t like how the recipe nor the consistency nor the final appearance turned out. I tried a few different things and just found them all to be not up to par. I think that the marshmallows have to be homemade, that the caramel needs to be homemade, and that the chocolate is a good quality dark chocolate. 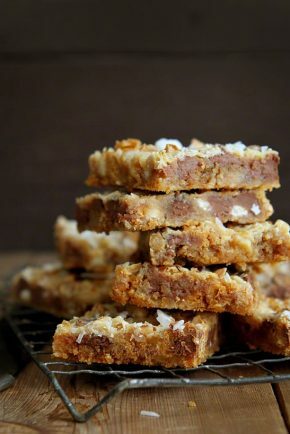 So I promise, I am working on this recipe and will be sharing it when it is perfected! 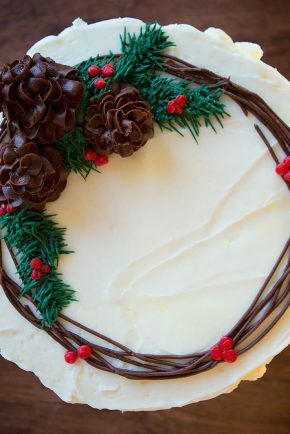 These would be perfect for the holiday dessert bar!! Genius! These are genius Amanda, and they look so gorgeous! Such a pretty idea for dessert tables! Thanks for sharing! You’re caramel ones looked great and yummy. Being a type A personality I see what you mean though. Maybe if the marshmellows were frozen first. 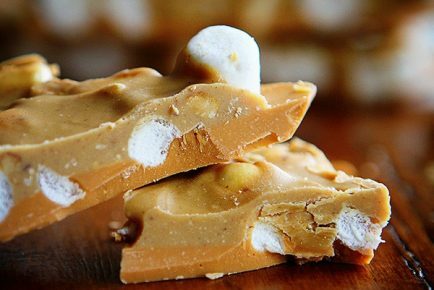 Might be the heat from the caramel causing the marshmellow to melt a bit. Other than a little melty (not a word, but hey)they look really good! 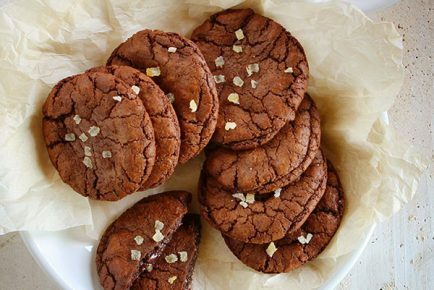 Recipe please! 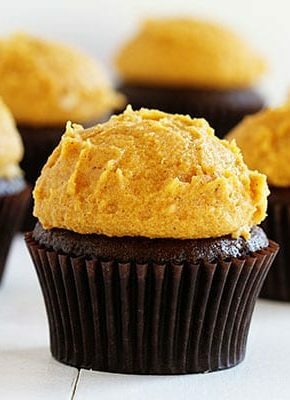 I am definately trying these!!! The caramel ones were NOT a collassal failure. They actually looked DELISH!!!!! !